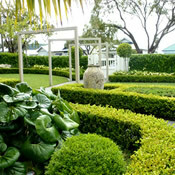 Auckland’s award-winning garden and landscape design experts working with the best landscapers in Auckland. Tailored landscape design advice you can trust. 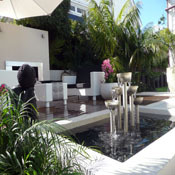 Start enjoying your outdoor living area in Auckland, with a design you can be proud of. We help our clients visualise and create with the best landscape designers available, so they can get on with the things they really want to do. Call us today. You may be frustrated by the state of your garden, perhaps it’s overrun by weeds and lacking serious attention or maybe you want an outdoor area to entertain with friends and family. We can assist. We offer garden consultations, plant sourcing and supply services, fully rendered landscape concept and planting plans and measured advice backed by years of industry knowledge coming together to offer, start to finish landscaping based on the North Shore servicing the Auckland region. We give each client the individual treatment they deserve, consulting with them on all aspects of their specific garden. Our landscape designer will first examine the functionality of your outdoor area, before focusing on how best to maximise the appearance of your garden, while keeping in line with your expressed wishes.